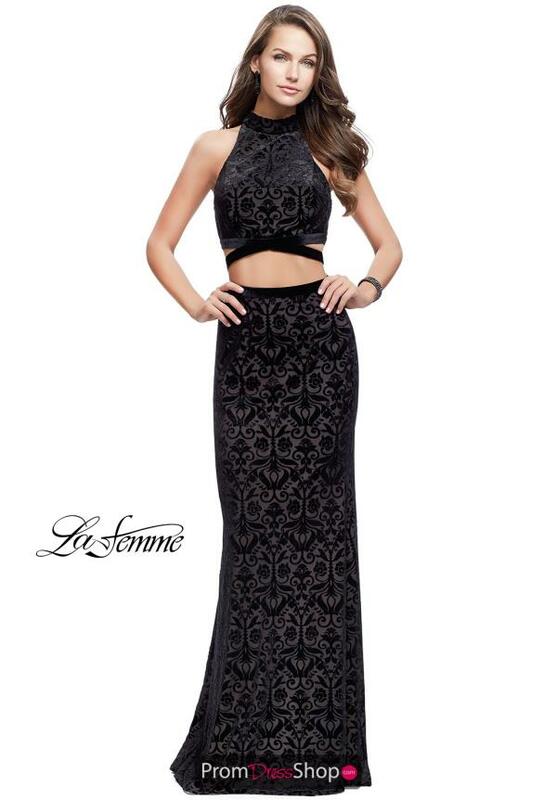 Exquisite two piece La Femme prom dress 25589 is made in an amazing textured velvet fabric and showcases a high neckline crop top with an open back and a fitted skirt that flows into a subtle sweep train. Complete the look with rhinestone stud earrings and a matching clutch. Find more elegant styles like this at www.promdressshop.com.